The Olivier Award-winning production of Mike Kenny’s stage adaptation of E. Nesbit’s novel The Railway Children will be returning to London on 16 December 2014, but moving to a new home, the King’s Cross Theatre, where a purpose built 1,000-seat theatre, complete with a railway track and platforms, and with a state of the art heating system, will be specially created. The site, on King’s Boulevard, behind King’s Cross Station, has been loaned to the production for the duration of the run by Google, who own the land. The York Theatre Royal production, which is in association with the National Railway Museum, will once again feature a live 60-tonne steam locomotive and Gentleman’s Carriage. The Railway Children, which previews from 16 December, with a press night on 14 January, is booking until 1 March 2015. Casting will be announced shortly. Joe Borret, EMEA Director of Real Estate & Construction at Google, said, "Google is pleased to help bring The Railway Children to King's Cross, Europe's most connected train station. Working with this production will be a great way to engage with the local community while we continue to plan our new UK headquarters." 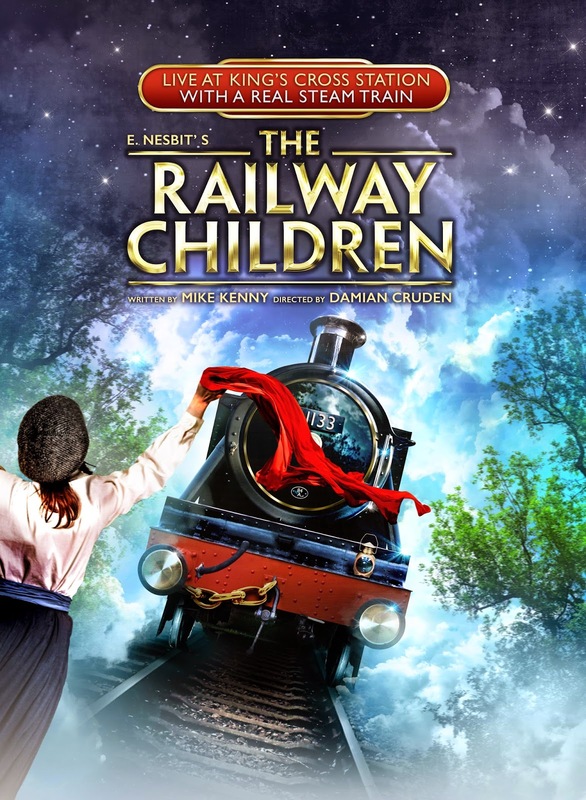 The production at King’s Cross Theatre is in support of the Railway Children Charity that aims to help homeless and runaway children throughout the world, with £1 per ticket donated to the charity. Directed by Damian Cruden, with design by Jo Scotcher, lighting by Richard G. Jones, music by Christopher Madin and sound by Craig Vear, Mike Kenny’s adaptation of The Railway Children was first produced by York Theatre Royal at the National Railway Museum, York, where it enjoyed two sell-out and critically acclaimed seasons in 2008 and 2009. The production then opened at Waterloo Station in the former Eurostar terminal in July 2010, where it again played two critically acclaimed sell-out seasons and won the 2011 Olivier Award for Best Entertainment, before opening in Toronto in 2011 in a temporary theatre built at the base of CN Tower in Roundhouse Park. The Railway Children tells the story of Bobbie, Peter and Phyllis, three children whose lives change dramatically when their father is mysteriously taken away. They move from London to a cottage in rural Yorkshire with their mother, where they befriend the local railway porter, Perks, and embark on a magical journey of discovery, friendship and adventure. But the mystery remains – where is Father, and is he ever coming back? Edith Nesbit’s much loved classic children’s book The Railway Children was first published in 1906 and has subsequently been adapted for the stage and screen, most famously in the 1970 film version directed by Lionel Jeffries and starring Jenny Agutter, Bernard Cribbins, Dinah Sheridan and Sally Thomsett. The production is presented in London by Tristan Baker & Charlie Parsons for Runaway Entertainment, Oliver Royds for BOS Productions and Sue Scott Davison, in association with York Theatre Royal and the National Railway Museum.